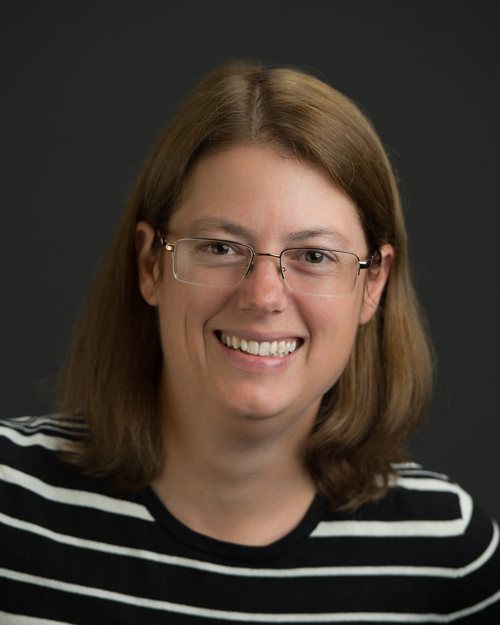 Provost Kathleen Enz Finken has announced that Amy S. Fleischer, professor and chair of mechanical engineering at Villanova University, will become dean of the College of Engineering effective July 16. 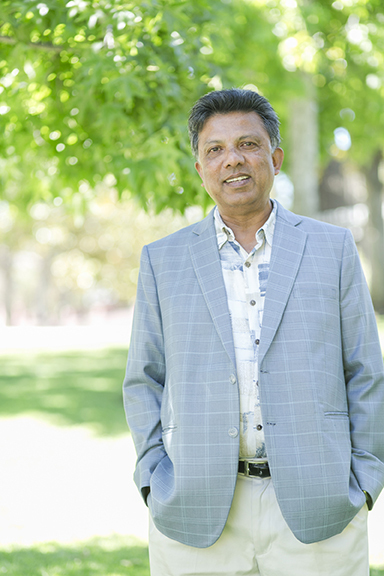 Fleischer succeeds Interim Dean Jim Meagher, a longtime professor in the Mechanical Engineering Department who has served as dean for the past year after previous dean Debra Larson joined CSU Chico as provost. Fleischer, who has taught at Villanova University since 2000, is also director of the National Science Foundation (NSF) Industry/University Cooperative Research Centers (I/UCRC) Energy Smart Electronic Research Center and the NovaTherm Research Laboratory. Her research interests include the broad topics of sustainable energy system design and thermal management of electronic systems. Fleischer also led the development of the McNulty Institute for Women’s Leadership and founded of the “Engineering is for Girls! Day,” at Villanova University. She has served in numerous leadership roles at Villanova University, including as a member of the College of Engineering’s Leadership Committee, founding chair of the college’s Committee on Diversity and Inclusion, a steering committee member of the university’s program in Gender and Women’s Studies, and a member of the universitywide committee on diversity and inclusion. “It is a true honor to be named dean of Cal Poly’s College of Engineering,” Fleischer said. “The College of Engineering has always been known for its outstanding engineering educational programs and its deep commitment to Learn by Doing. This commitment and passion is incredibly exciting, and I look forward to working side-by-side with the talented faculty, staff and students of the college to advance our strategic initiatives, increase our national and international visibility and expand our opportunities.” Read more here. Due to the overwhelmingly positive response from the Winter Teach-In, the Office of University Diversity and Inclusion will host a "Teach On!" series for spring quarter. Faculty and staff will present workshops on Thursdays from April 19 through May 24 from 11 a.m. to noon in the Erhart Agriculture Building (No. 10), Room 220. The schedule is: April 19, "Supporting Undocumented Survivors of Gender-based Violence," featuring Zulema Aleman; April 26, "White Skeptics," featuring Megan Lambertz-Berndt; May 3, "The Impact of Privilege: Masculinity, Sexual Assault, and the Entertainment Industry," featuring Nick Bilich; May 10, "Science and Fake News: Distinguishing Actual Science From 'Alternative Facts,' and the Influence on Public Policy," featuring Ben Ruttenberg; May 17, "Myth vs. Fact About Undocumented Students," featuring Katherine Zevallos Pastor and Zulema Aleman; and May 24, "Wakanda Forever: Race, Gender and the Revolutionary Mind: An Analytical Discussion of Black Panther," featuring Blanca Martinez-Navarro, Blaze Campbell, Denise Isom, Jenell Navarro, Oscar Navarro and Steve Ross. All events are open to the campus community. For more information, contact diversity@calpoly.edu, or visit OUDI's Facebook page. 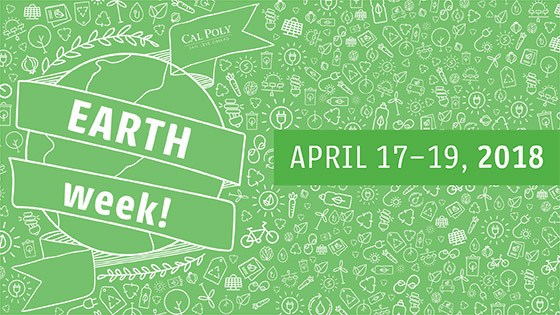 Cal Poly Earth Week 2018 will take place from April 17-19, with three fun-filled days of events and activities related to sustainability on campus. Events will include a green careers panel, a tour of Cal Poly's new solar farm, a campus litter clean-up, a sustainability club showcase, and more. There will be fun and engaging ways for students, staff and faculty to get involved. You can sign up to volunteer, attend the events and even win prizes throughout the week! Don't miss out on this opportunity to connect with sustainability programs and leaders on campus and spread the spirit of environmental culture. Contact Kylee Singh at klsingh@calpoly.edu or ext. 6-5397 for more information. 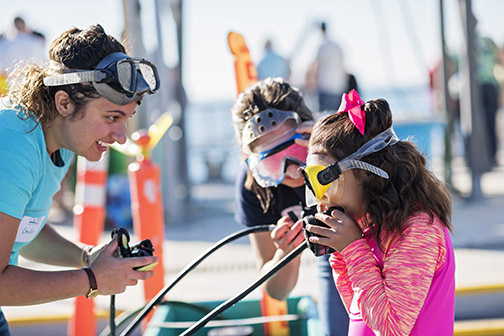 Find the full listing of events at http://bit.ly/CPearthweek2018. Best in Show honors went to individuals and a team of students in sculpture, graphics, digital media, two-dimensional art, video and photography at the April 12 reception/opening of the 2018 Juried Student Exhibition at the University Art Gallery in the Dexter Building. The showcase of artwork made in the Art and Design Department is on display through May 11. 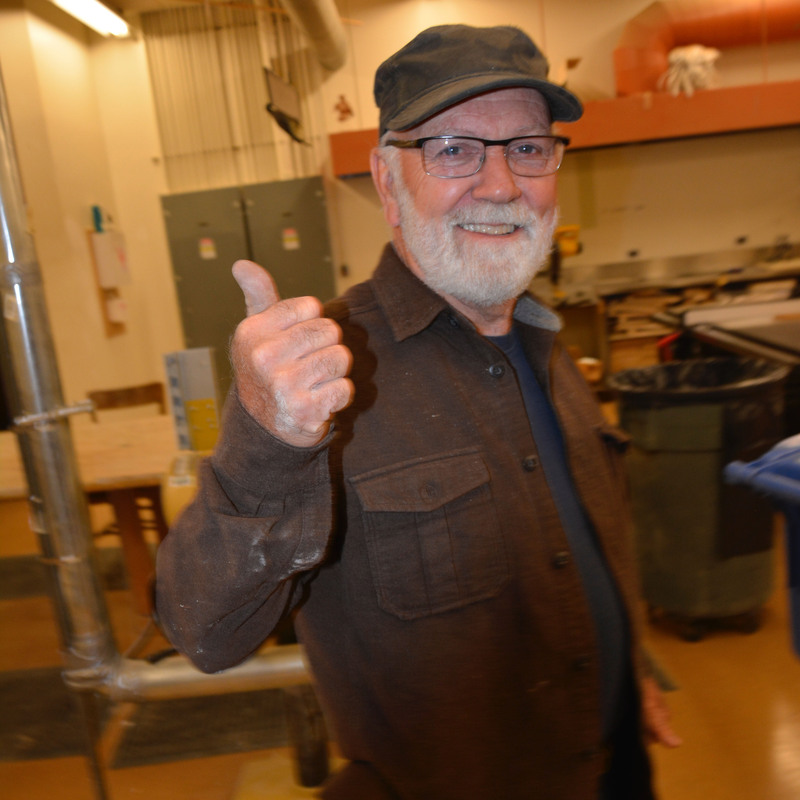 The show was juried by painter and sculptor Peter Charles, a San Luis Obispo resident who has exhibited work in many museums and galleries throughout the U.S. As juror, Charles chose the artwork for the biggest student art showcase of the academic year. “Selecting is a tough job, because only about one third of submitted pieces make the cut,” said Gallery Specialist Garet Zook. 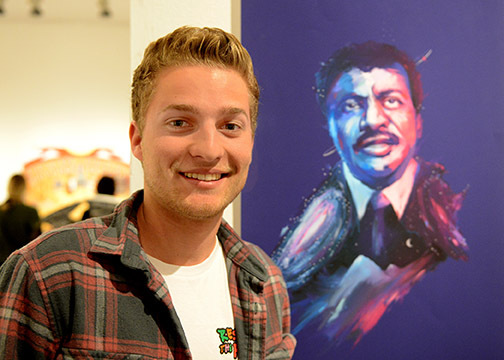 Best of Show honorees included: Steve Paek, an electrical engineering junior, for his sculpture “60 Inch”; art senior Anh-thu Luu for “Station No.1 Office Supplies” in the graphic design category; Matt Hansen (pictured below), an art senior, for “Cosmos: A Spacetime Odyssey” in digital media; Anna Teiche for her painting “Triad” in the 2D category; and a team of art seniors made up of Ryan Hutson, Joanne Mendoza and others for their video “Food Waste.” Honorable mention honors went to: Thomas Stoekinger for his sculpture “Yesterday”; art senior Mallory Harris for “XO” and art sophomore Lukas Wegmuller for “In Our Own Likeness” in the 2D category; and Mariah Okuna, an art senior, for “Gemini Eye Care” in the graphic design category. 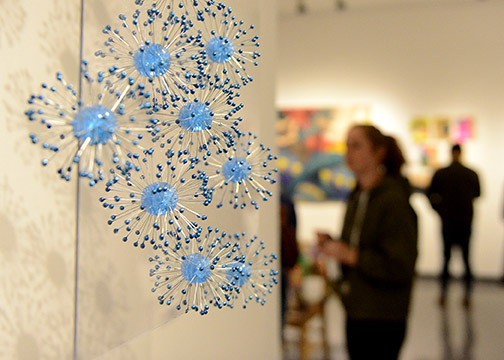 The University Art Gallery is free and open to the public from 11 a.m. to 4 p.m. Tuesday through Saturday. Learn more at https://artgallery.calpoly.edu/. Nominees for Cal Poly’s Outstanding Student Employee of the Year (OSEY) will be recognized at a reception from 11 a.m. to noon Thursday, April 19, at the Smith Alumni and Conference Center (No. 28). Cynthia Vizcaíno Villa, CFO and senior vice president of Administration and Finance, will give remarks and congratulate the 32 nominees. The 2017-18 OSEY will also be announced. This event is open to the campus community. Student employees, supervisors and supporters of student employees are encouraged to attend. The reception will celebrate the important achievements, contributions and exceptional service student employees provide to the university. For more information, contact Barbara Rollins at brollins@calpoly.edu. The Center for Service in Action is hosting the 32nd annual Cal Poly Community Service Awards, and nominations for this recognition are due at 5 p.m. Monday, April 30. 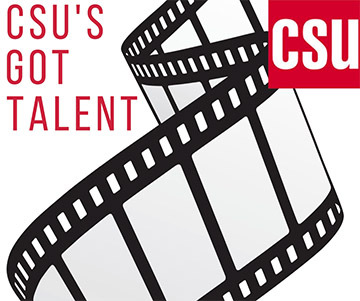 Awards for the categories of individual faculty, staff and student contributions, along with student organizations and community partner of the year will be awarded during a ceremony on Thursday, May 10. President Armstrong personally presents the awards and recognizes recipients for their efforts. More information about the history of the awards, details on each category and a link to the nominations form can be found here. For questions about the nomination process, email the Center for Service in Action at serviceinaction@calpoly.edu. 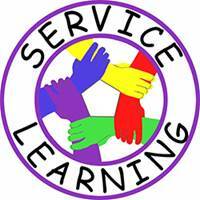 Service Learning Faculty Fellows for the 2017-18 academic year will present the Service Learning Showcase of course redesign proposals from 9 to 10:30 a.m. Wednesday, May 2, in the lobby of the Advanced Technology Laboratories (No. 7), Room 1. The event is organized by the Center for Service in Action and the Center for Teaching, Learning and Technology. This poster-session style event will be an opportunity to view and discuss the latest innovations of service learning developed by faculty. Light refreshments will be provided. For more information,contact Anurag Pande, faculty liaison for Service Learning, at apande@calpoly.edu, or Bradley Kyker, senior coordinator for the Center for Service in Action, at bkyker@calpoly.edu. Myron’s, Cal Poly’s bistro-style restaurant, is bringing southern barbecue to San Luis Obispo from 4 to 6 p.m. Thursday, April 19. The event will feature items from the Myron’s menu plus one glass of beer or wine, for $6 per guest. 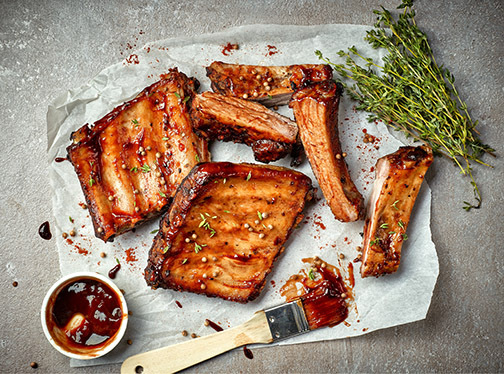 The mixer will offer a special tasting of barbecue ribs, fried green tomato slide with pimento cheese and baby arugula, cornbread, coleslaw, potato salad and bread pudding with caramel sauce. Myron’s is located upstairs in the Dining Complex (No. 19), across from the Rec Center. For additional information, visit www.calpolydining.com/myrons/. 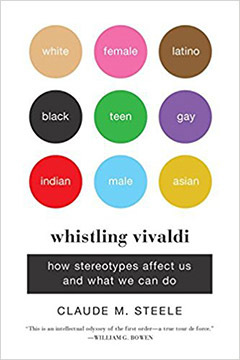 Join a Book Circle through Employee and Organization Development to read and discuss "Whistling Vivaldi" over three meetings in April and May. Through personal stories and research results, author Claude M. Steele paints a compelling picture of how simply being aware of negative stereotypes toward our social group diminishes our ability to perform. 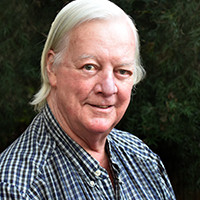 Steele describes how he came across the psychological phenomenon he named “stereotype threat” and how this phenomenon fundamentally changed the way psychologists thought about how stereotypes shape our lives. He sheds light on American social phenomena from racial and gender gaps in test scores to the belief in the superior athletic prowess of black men, and lays outs a plan for mitigating these “stereotype threats” and reshaping American identities. For more information and to register, visit the Book and Learning Circles website. The Cal Poly Foundation board of directors will hold its meeting, which is open to the public, beginning at 9:30 a.m. Saturday, May 5, in the Performing Arts Center Pavilion Room. For more information about the meeting or to obtain a copy of the agenda, call the Cal Poly Foundation office at ext. 6-7147. What would the world be like if it were more gender balanced? How would it change our homes, our communities and even our planet? From opportunity to access to equal pay, and much more, "50/50 Day" is committed to helping everyday people become champions and active participants in the changes our world so desperately needs. 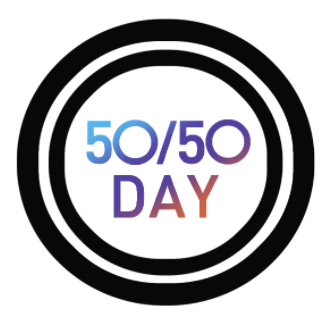 On April 26, Cal Poly will join thousands around the world who will be screening the "50/50 Day" film and engaging in discussions about how we are going to get to a more gender-balanced world that is better for everyone. Click here to register to attend from noon to 1 p.m. Thursday, April 26. Lunch will be served. And check out some highlights from the 2017 event. 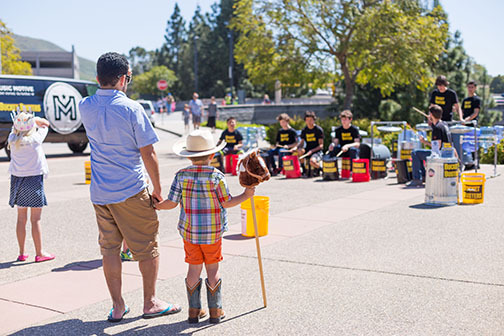 The Cal Poly Pride Faculty Staff Association (PFSA) has announced its spring quarter schedule of events. The schedule of events, including Pride Month events and after-hours socials, can be found online here. PFSA events are open to all LGBTQ+ faculty, staff and graduate students as well as allies. Individuals interested in learning more and staying updated on PFSA events and programs can sign up for the PFSA mailing list here. Individuals can also join the PFSA on Facebook to stay connected with local events and services. Asian, Asian-American and Pacific Islander faculty and staff are invited to the Asian Pacific Islander (API) Faculty and Staff Association spring social from 1 to 3 p.m. Saturday, April 21, on O'Neill Green. Friends and family are welcome. Bring a blanket and a dish to share; some food will be provided. The API Faculty and Staff Association is committed to supporting Asian-Pacifics in higher education to become stronger leaders and to create networking and social opportunities. Questions? 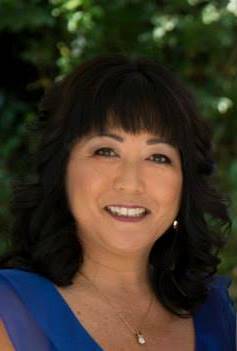 Contact Samantha Tran, APIFSA planning committee member, at stran19@calpoly.edu. 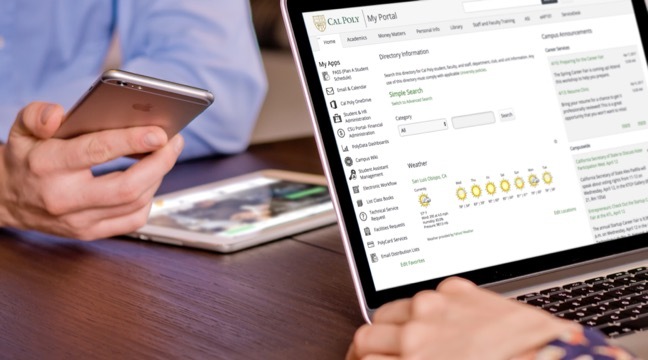 The Student and Human Resources Administration and Student Center applications, accessed through the My Cal Poly Portal, will be unavailable from 5 p.m. Thursday, April 19, until noon Monday, April 23, due to a required upgrade to the PeopleSoft system. During the maintenance window, links in the “Employee Info” and “Personal Info” sections of the “Personal Info” tab on the portal will also be unavailable. Once the PeopleSoft upgrade is complete, the current link to “Student and HR Administration” in the “My Apps” column on the left side of the portal home page will be split into two new links: “Student Administration” for student services and “HR Administration” for human resources services. This upgrade will help Cal Poly prepare for the CSU’s systemwide transition to a Common Management Systems (CMS), which will support human resources, financial and student services administration functions for all 23 campuses. The project aims to provide more efficient, effective and high-quality service to CSU students, faculty and staff. If you have questions or need help, contact the ITS Service Desk at ext. 6-7000 or servicedesk@calpoly.edu. Join Employee and Organization Development for a webinar on the many advantages and all the dynamics that come into play when making time for regular family meetings. Family meetings provide opportunities for parents and children to come together to share experiences and plan family activities. Family meetings promote harmony, cooperation and leadership by providing time to establish rules, make decisions and recognize positive aspects of family life. 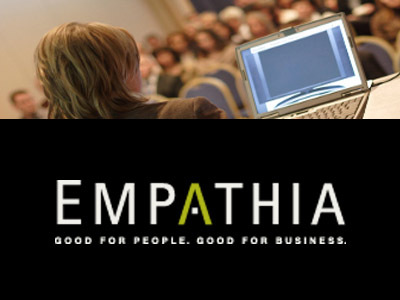 Employee and Organization Development will share a webinar from Employee Assistance Provider (EAP) Empathia from noon to 1 p.m. Wednesday, April 25, in the Administration Building (No. 1), Room 301. Register in Skillsoft. Employment Equity Facilitator Workshops have been scheduled for spring quarter from 10 to 11:30 a.m. Wednesday, April 25; and 10 to 11:30 a.m. Tuesday, May 29. Brian Gnandt, director of Equal Opportunity, and Elena Morelos, director of Academic Employment, will lead the workshops. Representatives from Academic Personnel and Human Resources will be available to answer questions and provide information on the staff and faculty recruitment processes. All trainings will be held in the Equal Opportunity Conference Room in Fisher Science Hall (No. 33), Room 290. Visit http://equalopportunity.calpoly.edu/content/eef for more information. To enroll, contact Ethan Kuster at ekuster@calpoly.edu or ext. 6-7387. Leadership has less to do with title and position and more to do with an individual's ability to influence others. You can lead others from anywhere in the organization, and when you do, you make the organization better. How can we cultivate influence when we don't have "manager" in our title? Join Employee and Organization Development for a workshop focused on a discussion of the qualities of effective leaders, understanding influence, key traits to expanding our influence, and strategies for building leadership skills. Employee and Organization Development will offer a workshop from Employee Assistance Provider (EAP) Empathia from 2 to 3 p.m. Thursday, April 26, in the Administration and Finance training room in the University Police Building (No. 36), Room 105. Register in Skillsoft. — FA 101: Nuts and Bolts of Faculty Advising: 10:10 a.m. to noon Friday, April 20, in the Science Building (No. 52), Room E48. — FA 102: Assemble Your Faculty Advising Toolkit: 10:10 a.m. to noon Friday, May 4, in the Science Building (No. 52), Room E48. — FA 103: Building Student Success through Faculty Advising: 10:10 a.m. to noon Friday, May 11, in the Science Building (No. 52), Room E48. Click here for more information about the Faculty Advisor Training series. Questions? Contact Advisor Training Coordinator Christina Wolfe-Chandler at ext. 6-5735 or crwolfe@calpoly.edu. · Cyril Oberlander, dean of University Library, Humboldt State University, visited campus April 16-17. The Open Forum was held April 16. · The visit for Stephanie R. Walker, dean of Libraries and Information Resources, University of North Dakota, has been canceled. 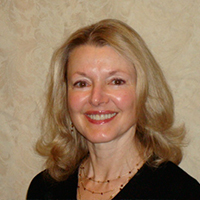 · Adriana Popescu; interim dean of Library Services, Cal Poly; April 23-24. 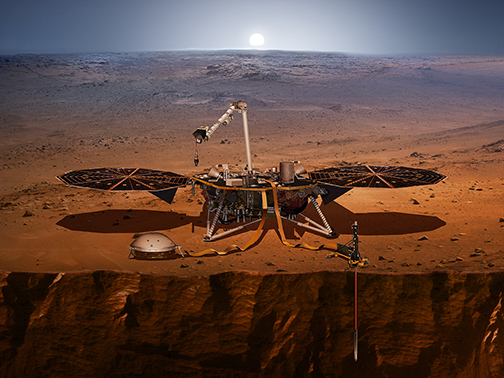 The Open Forum will be held from 11:10 a.m. to noon Monday, April 23, in the Advanced Technology Laboratories (No. 7). Curricula vitae and interview schedules are available on the Academic Personnel site: https://academic-personnel.calpoly.edu/content/announcements. 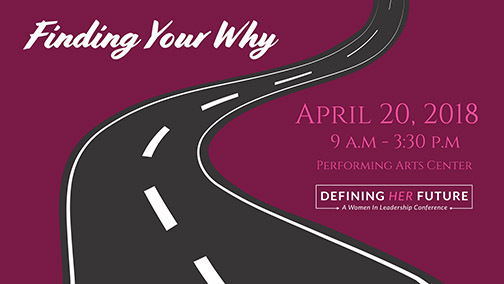 Cal Poly student club Women in Business will hold its third annual Defining Her Future conference at the Performing Arts Center on Friday, April 20. Faculty, staff and students are invited to spend the day surrounded by passionate, empowered women and men from across campus and various industries. Defining Her Future 2018 will provide an opportunity to listen to executive breakout panels, network with industry professionals and grow as leaders. Listen to a keynote session from renowned business leaders, choose from six breakout sessions and sit in on an Allyship Panel moderated by a representative from the Office of University Diversity and Inclusion (OUDI). Defining Her Future is free and open to all faculty, staff and students from all majors, ages and genders — there will be something for everyone. Register here: https://www.eventbrite.com/e/defining-her-future-a-women-in-leadership-conference-tickets-43856356543. 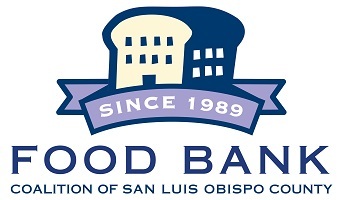 Campus Health and Wellbeing is partnering with the Food Bank Coalition of San Luis Obispo County to host an on-campus food distribution site from 4:30 to 6 p.m. Tuesday, April 24, near Mott lawn. The Food Bank Coalition administers The Emergency Food Assistance Program (TEFAP) once a month at no cost to low-income families and individuals to help with nutrition assistance. This service is being provided to ensure that all students, faculty and staff have access to nutritious foods. Campus Health and Wellbeing will continue to support this food distribution site every fourth Tuesday of the month. For more details visit chw.calpoly.edu or follow @mycpwell on Facebook, Instagram and Twitter. For more information, contact Christine Nelson at cinelson@calpoly.edu. The Statistics Department provides a statistical consulting service to the university community to facilitate research design and data analysis in a wide variety of disciplines. Consulting will be available through Friday, June 15, by appointment only. The consulting service is intended to support faculty and staff projects and research and provide assistance for students working on senior projects and graduate research. Jeff Sklar and John Walker will serve as the consultants. They are available to advise on data collection, experimental design and analysis of research projects. In addition, they will be available to lead seminars or tutorials on requested topics and offer advice on various computer packages available at Cal Poly. Faculty, staff and students interested in utilizing the consulting service are encouraged to access the Statistics Department website for additional information, including what to bring to a consulting session. 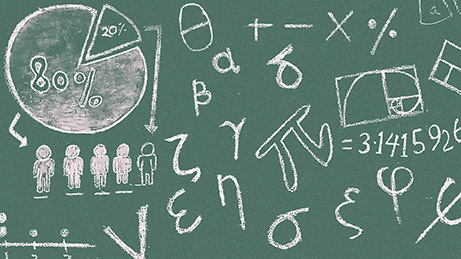 If there is a special area of statistical inference that is of interest to a group or department, or to schedule a consultation, email statconsulting@calpoly.edu. Extended Education will offer the Children's Picture Book Writing series this spring. Children’s Picture Book Writing will be held from 6:30 to 8:30 p.m. Thursdays April 19 through May 17. Join published author and teacher Cindy Neuschwander in this introductory class, which offers an in-depth look at this genre. In addition, The Mind of a Child class will be held from 9 a.m. to noon Saturday, May 5. 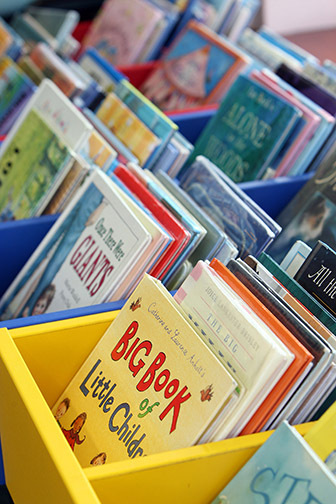 Explore 10 universal themes that occur in picture books. This class will give adults a peek into what children are thinking and what resonates with them. Character Development, a one-day class, will be held from 9 a.m. to noon Saturday, June 2, and will touch on recognizing and crafting unforgettable characters. Students will look at examples of strong characters and learn how to create one. Learn more here or by calling ext. 6-2053. Extended Education will offer Math Academy this summer from 9 a.m. to 3 p.m. Monday, July 23 through Friday, July 27. The Math Academy provides enrichment activities to ensure participants are well-prepared to meet future academic challenges. Participants will work on fun, rich tasks that include multiple access points, multiple methods of solving the problem, hands-on components, collaboration and communication. Through this program, participants work through the processes required to comprehend and solve rich problems, improving critical thinking and reasoning skills required at the college level. (Prerequisite: Completion of Algebra I.) Learn more here or by calling ext. 6-2053. Register here. ABC News correspondent David Kerley (Journalism, ’79) will interview Hollywood writer and producer Kevin Falls (Journalism, ’78) from 6:30 to 7:30 p.m. Thursday, April 19, in the Advanced Technology Laboratories (No. 7). The two accomplished Cal Poly journalism graduates will return to campus to talk about the art of storytelling. Falls is currently working on the hit NBC series “This Is Us.” He was head writer on “The West Wing,” created the NBC series “Journeyman” and co-created TNT’s “Franklin & Bash.” Falls was also the screenwriter for two movies, “The Temp” and “Summer Catch.” Kerley is based in Washington, D.C., and contributes regularly to all ABC News broadcasts, including “World News Tonight,” “Good Morning America” and “Nightline.” Kerley has been honored with national and regional Emmy Awards, a Peabody, and multiple Edward R. Murrow awards. The event is free and open to the public. For more information, call ext. 6-2508 or email jour@calpoly.edu. The second annual Family Day at the PAC will be held Saturday, April 21. This free community event promises to entertain with a day full of music, crafts and a special performance by Versa-Style, a Los Angeles-based dance troupe. 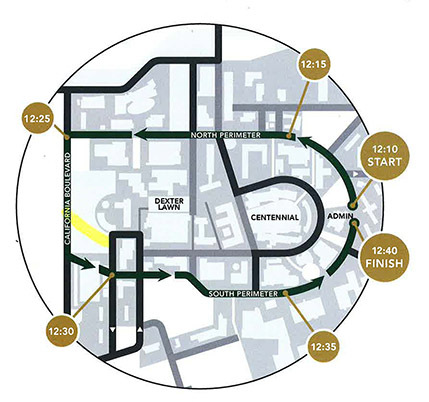 The day kicks off at 2 p.m. with activities in the PAC Main Lobby and Plaza. At 3 p.m., doors to Harman Hall open for a highly energetic performance by Versa-Style. Both children and adults will enjoy the troupe's combination of '90s hip-hop, salsa, Afro-Cuban dance styles and more. Sweets will be provided by SLO Provisions. Event sponsors include The Tribune, KSBY and the city of San Luis Obispo. Family Day at the PAC is presented by the Performing Arts Center. Click here to register online or call the Cal Poly Ticket Office at ext. 6-4849. Beach Volleyball vs. Feather River, Pismo Beach, 8 a.m.
Beach Volleyball vs. Vanguard, Pismo Beach, 10 a.m.
Beach Volleyball vs. San Jose State, Pismo Beach, 4 p.m.
Men’s Tennis vs. UC Santa Barbara, Mustang Courts, 10 a.m.
Softball vs. CSUN (DH), Bob Janssen Field, 1 p.m.
Women’s Tennis vs. UC Santa Barbara, Mustang Courts, 2 p.m. Baseball vs. Long Beach State, Baggett Stadium, 6 p.m. Baseball vs. Long Beach State, Baggett Stadium, 1 p.m.
Softball vs. CSUN, Bob Janssen Field, 1 p.m.
#104859 — Director of Library Technology (Administrator II), Library — Information Technology. Salary commensurate with background and experience. Open until filled. #104831 — General Engineering Program Coordinator (Administrative Support Coordinator I), College of Engineering. $2,486 to $4,852 per month. (Anticipated hiring range: $3,000 to $4,000 per month). Open until filled. #104770 — Computer Support Specialist (Information Technology Consultant — Career), Library — Information Technology. $4,372 to $9,877 per month. (Anticipated hiring range: $4,372 to $5,100 per month). Open until filled. #104853 — Administrative Support Coordinator I (Administrative Support Coordinator I), Parent and Family Programs/Commencement. $2,846 to $4,852 per month. (Anticipated hiring range: $2,846 to $3,949 per month). Open until filled. #104852 — Faculty Program and Executive Recruitment Coordinator (Administrative Support Coordinator II), Academic Affairs — Academic Personnel. $3,115 to $5,060 per month. (Anticipated hiring range: $3,400 to $4,100 per month). Open until filled. #104864 — Accountant (Accountant I), Administration and Finance — Fiscal Services — General Accounting and Finance. $3,664 to $6,667 per month. (Anticipated hiring range: $3,664 to $5,200 per month). Open until filled. #104857 — Registered Nurse 10/12 (Registered Nurse II), Student Affairs — Health Services. $3,403 to $6,188 per month. (Anticipated hiring range: $3,403 to $4,852 per month). Open until filled. #104871 — Human Resources Assistant (Administrative Support Coordinator II), Administration and Finance — Human Resources. $2,600 to $4,328 per month. (Anticipated hiring range: $2,600 to $2,947 per month). Open until filled. #104870 — Director of Real Estate Education Initiatives (Administrator II), Orfalea College of Business. Salary commensurate with background and experience. (Anticipated hiring range: $6,667 to $10,000 per month). Open until filled. Assistant Coordinator — Accounting. $22.50 per hour with excellent benefits. Position open until filled. Coordinator — Facility Operations (Recreation Center). Annual salary $52,794 with excellent benefits. Position open until filled; review of applications begins April 17. Building Service Worker — $15.00 per hour plus excellent benefits. Position open until filled.